They have the body type and nature of an Oriental cat - lean, sleek, intelligent and inquisitive - and a silky medium-length coat which is much longer and thicker than that of a traditional oriental cat or Siamese. Oriental Longhairs can be any of the standard shorthair colours. 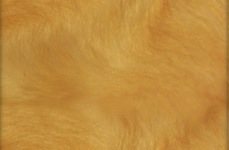 The range of possible coat colours includes everything from self-coloured (black, blue, chocolate, lilac, cinnamon, caramel, fawn, red, cream and apricot), torty, smoke (silver undercoat), shaded or tipped, tabby or white. All Oriental Longhairs have green eyes, except for the whites, which may have green or blue eyes, or be odd-eyed (two different colored eyes). If an Oriental Longhair is bred to a shorthaired oriental or a Siamese, the kittens will all be short-haired. However, if these kittens are reintroduced into a breeding program as adults, approximately half of their kittens will have long coats. The Oriental Longhair is analogous to the CFA Balinese and Javanese, and the TICA Oriental Longhair breeds in the United States. The British "Angora" should not be confused with the Turkish Angora, one of the most ancient breeds of longhaired cats. Originating from the mountainous regions of Turkey, the Turkish Angora is recognized by many official registries including CFA and TICA. The Turkish Angora has a svelte, but not Oriental style, foreign body type. It does not come in pointed colors. It is a refined and elegant cat, with large ears set high and tight on the head, and offering smaller boning than the more well-known Persian cat. The Turkish Angora is a natural breed of cat, and is prohibited from outcrossing to any other breed, unlike the British "Angora" (which has since dropped the name due to pending GCCF recognition of the Turkish Angora). Prices current as of last update, 04/13/19 11:41am.